Why would I need self storage in Bothell, WA? There are a variety of reasons why you might need self-storage in Bothell, WA. How much is a storage unit in Bothell, WA? The cheapest storage unit in Bothell, WA is $49.00 per month. What size storage units do you have available in Bothell, WA? In Bothell, WA we have sizes that range from 5'x5' to 10'x30' to suit your storage needs. How much is it for a 5'x5' storage unit in Bothell, WA? The cheapest 5'x5' storage unit in Bothell, WA is $49.00 per month. Part of the Seattle metro area, Bothell is a thriving suburban city that has attracted many people who are interested in making a home in Seattle's Eastside. It's known as a family-friendly community, host to a number of community events, numerous parks and a growing economy. The community that would eventually evolve into the city of Bothell was originally founded by loggers in the 1880s. Once the majority of its trees were cut down, the area was transformed into a farming community. Bothwell wouldn't become the suburb it is today until after World War II, when homes took over the existing dairy pastures and farmland. Bothell was incorporated as a city in 1909. A devastating fire had a major impact on the city in 1911, destroying many businesses and spurring the city council to impose fire codes for new construction. Between the early 1970s and 1990s, Bothell grew via annexation. In 1992 alone, the city doubled in population after annexing nearby Canyon Park, expanding the city beyond King County. Many people choose to live in Bothell for its proximity to Seattle, a cosmopolitan city that offers pristine forests, coastline, mountains and a diverse arts and cultural scene. The suburban city of Bothell provides a slightly more affordable option for settling down, especially for young families. Many factors have attracted new residents to Bothell in recent years, including its low unemployment rate, good job growth, welcoming neighborhoods and friendly sense of community. The city is divided into a number of different districts and neighborhoods, ranging from the downtown district to residential communities like Canyon Creek and Pioneer Hills. Amenities are plentiful throughout the city, including everyday conveniences like grocery stores, coffee shops, restaurants and fitness centers. Several commercial developments around Bothell offer a mix of big-box retailers and smaller, locally-owned businesses. A number of events spread throughout the year provide plenty of opportunity to get to know your community and meet new people, including major holiday celebrations like the Harvest Festival and Pumpkin Carving and the Holiday Tree Lighting. Bothell schools are part of Northshore School District, which oversees the schools of Bothell, Woodinville, Kenmore and unincorporated areas in Snohomish and King counties. In addition to the public school district, Bothell is home to a variety of private schools, including Evergreen Academy Elementary School and Whole Earth Montessori. Utilities: Puget Sound Energy, Snohomish County PUD and the city's utilities department are major utilities providers in the area. Garbage and Recycling: Most residential areas in Bothell receive trash and recycling collection services. Transportation: Sound Transit operates both bus and rail lines through the metro area, including Bothell. 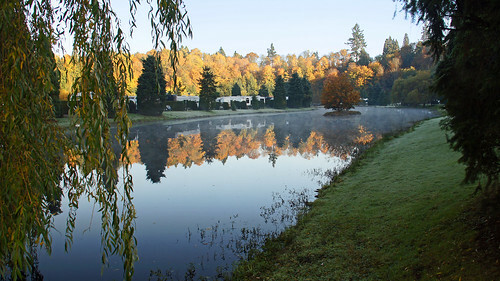 Bothell consists of 13 distinct neighborhoods, each with its own qualities and character. Housing costs will largely depend on which area you choose to live in, although the median home price in Bothell is lower than what you'll find in Seattle. You'll find a wide range of housing options, including single-family homes with spacious backyards, town homes and compact apartments. Our lowest priced units in Bothell, WA average $59.67 per month. 133 people have reserved units in Bothell, WA in the past 30 days. There are 3 locations within Bothell, WA's city limits. There is 1 location in Bothell, WA that offers AC and Heating features.